While Canadian banks will never admit it, their interest in small business has been extinguished for some time now. The Big Banks are driven by their pursuit to increase “shareholder value” and over time have built up significant cost structures which has pushed their focus to larger loan sizes, leaving small businesses behind. With the banks turning their attention to other areas, small businesses across Canada are left with few options. Some might get approved for a business loan at a bank, but even if they do they are left to the mercy of their banker, where they will experience months of waiting, poor customer service and inflexible terms, not to mention the countless number of questionable fees. The many creditworthy that are not approved are left with only high-cost alternative lenders to fund them where they are exploited for interest rates sometimes exceeding 30% just because these alternative lenders know they have no other options. Some might ask why the needs of small business matter so much. 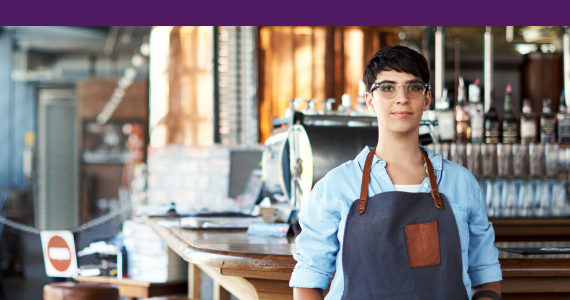 Simply put, small business is vital because it is the very backbone of our economy. In Canada, SMEs (small and medium-sized enterprises) account for over 99% of the total 1.1 million employer businesses operating in Canada and employ nearly 90% of Canada’s private sector workforce. At Lending Loop, we believe we have built a solution that is better all-around for small business borrowing. Modern technology has allowed us to recreate the lending model, making every step of the process more efficient. Our innovative technology means we can maintain a significantly lower cost structure which allows us to better serve smaller loan amounts. Lending Loop expedites the borrowing process, so that small businesses can get the money they need to grow and not have to worry about spending countless hours with their bank. Further, our dynamic credit evaluation process allow us to understand the specific needs of each small business’ application rather than the outdated ”tick all the boxes” approach that the banks use. While this concept might be new to Canadians, peer-to-peer marketplaces like Funding Circle have helped thousands of businesses across the U.S. and U.K. to grow. At Lending Loop, we hope to emulate the success of this model in Canada and allow the small business community to prosper with the help of their fellow Canadians. We’re creating a Better Way to Borrow, and we hope Canadian small businesses, communities and governments join together to embrace the future of lending. If you have any feedback or questions, please get in touch using our contact form, we would love to hear from you.